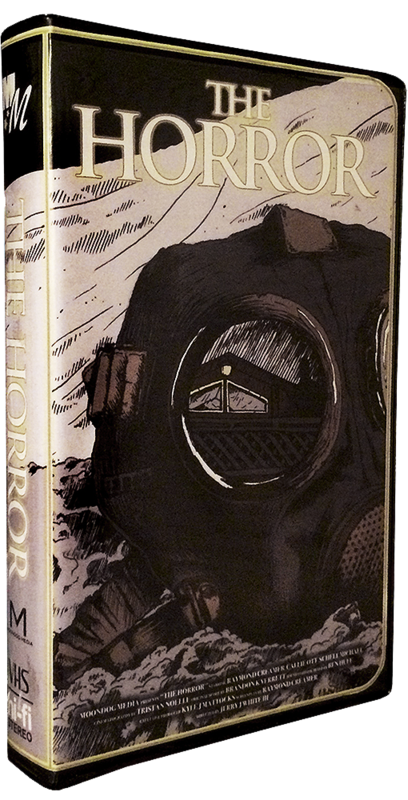 Moondog Media is excited to announce the April 1 digital VHX and limited edition VHS release of their first feature The Horror. Jerry White III's first film follows freshly orphaned twins made to fight for their survival; a fight that continues long after the violence ends. Anchored by stars Callie Ott (WTF!) and Raymond Creamer in his debut performance, The Horror and its leads have been hailed by critics since the world premiere at Dances With Films. Bloody Disgusting called Creamer a "modern take on Norman Bates" while Modern Horrors applauded White for making "one of the more impressive genre debuts [of the] year". Still reeling from the loss of their parents, Malcolm (Creamer) and Isabel Rademacher (Ott) head to their family's lake house for a weekend with their friends. What starts as a fun trip is cut short when Malcolm and Isabel ultimately push their companions away. Abandoned, Malcolm and Isabel's isolation is exploited by two masked assailants who invade their home. Malcolm kills one of them in self-defense, but becomes obsessed with tracking his escaped partner down. A year later, Isabel is attempting to put her life back together but memories of the invasion cast a long shadow. As Malcolm continues his hunt for the second assailant, Isabel becomes aware of the darkness that he carries inside and, while he claims to be protecting her, she worries that he may be the biggest threat of all. 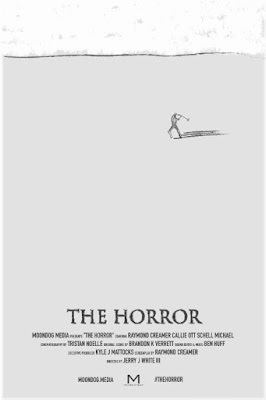 The VHS release of The Horror ($20) will exclusively include an introduction by Jerry White III and a digital download of the film. VHX downloads of The Horror ($5) can be played on any home entertainment system, as well as Roku, AppleTV, Android, iOS, Chromecast, AirPlay and more.